Have you noticed how the different weather elements can really take a toll on your lips? Lips are so sensitive and can easily dry out, crack or even peel. It’s crucial that you take care of your lips and try to keep them moisturized at all times. Using a homemade lip scrub is the perfect way to make sure your lips are moisturized and soft at all times! This is one of my favorite easy DIY crafts! This lip scrub makes for the perfect gift for any special women in your life. Grab your small mixing bowl and pour in your sugar. Grab your raw unrefined honey and pour it over the sugar and use a spoon to mix it all together. Once it’s fully coated grab your olive oil and pour in your teaspoon and continue to mix. The scrub will be a liquid consistency with a bit of graininess from the sugar and that’s exactly how it should be. 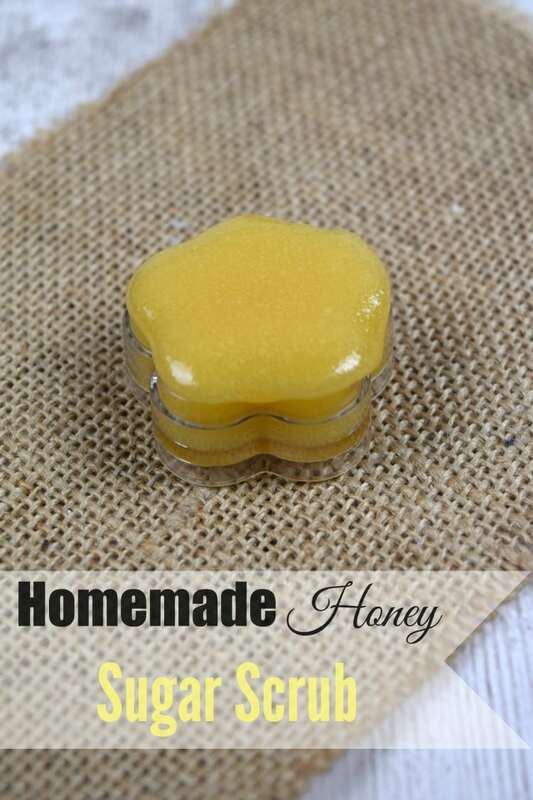 To give this Homemade Honey Lip Scrub a nice soothing scent I used Lemon essential oils. Give it a quick stir and pour into your clear lip containers. When you’re ready to use your lip scrub just grab a bit on your fingers and rub all over you lips. After about 2 minutes apply warm water and rub off your lips and pat dry with a towel. That’s it. This lip scrub is so easy and was such a fun project to do with my daughter. She loves anything that goes on her lips and I felt good knowing that all the ingredients were safe! Need an easy beauty hack? 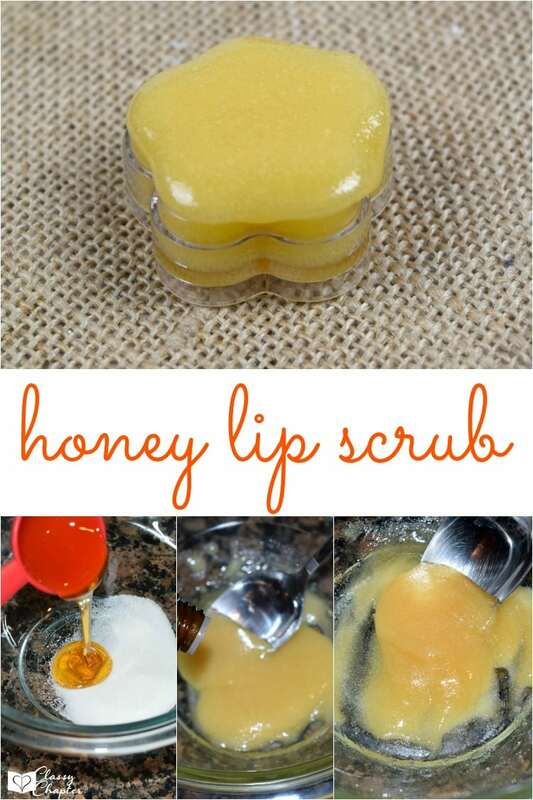 Try this homemade lip scrub! 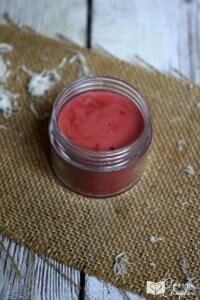 If you enjoyed this DIY beauty craft make sure to check out my Easy Lip Balm recipe. What a yummy lip scrub! The best part about this is that the ingredients are always on hand! Love this! I have recently started getting into making my own skincare and beauty products and I love how honey can be used for so many things! Thanks for sharing, pinning! I am going to have to make some of this for myself. Thank you for sharing this recipe. Thank you for linking up this week at #HomeMattersParty. Looking forward to seeing what you link up next week. Is there a reason it calls for raw honey? It’s just the type of honey I prefer using. You can use any kind.